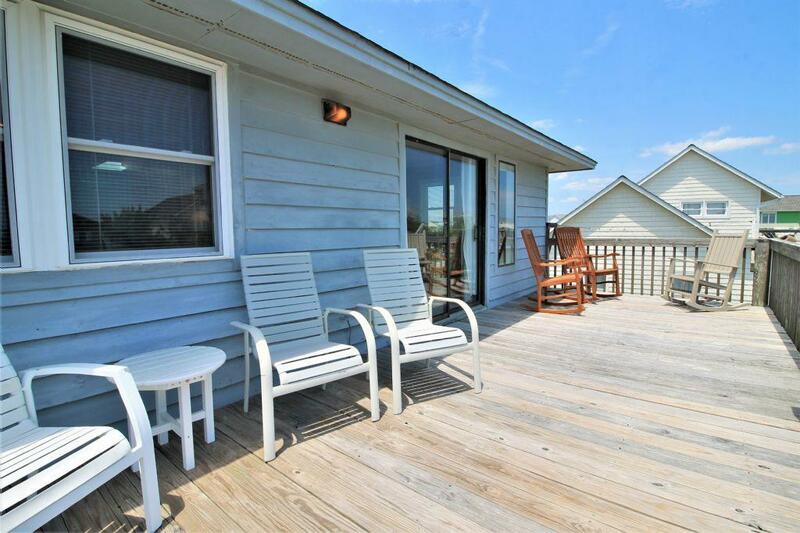 Located a little more than a half mile from the Surf City pier on South Shore Drive, this home is situated on one of the least traveled sections of Surf City. 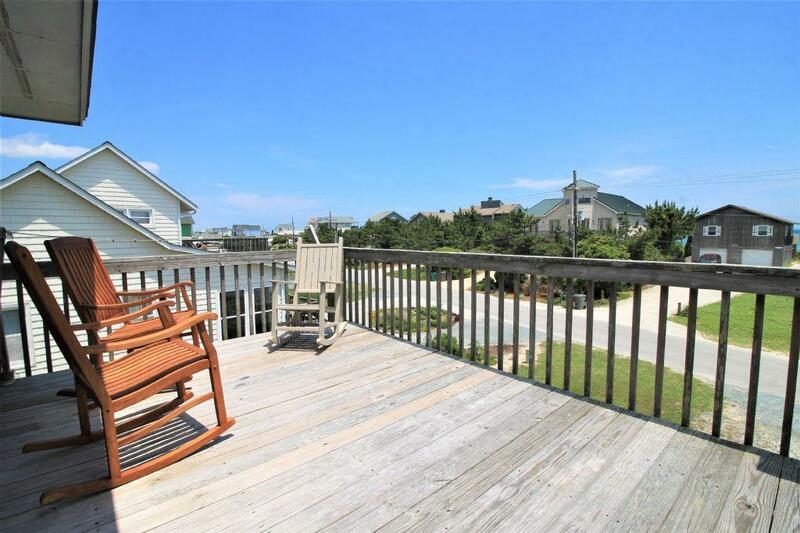 Large oceanfront decks provide sweeping ocean views and space to stretch out and bask in the sun. 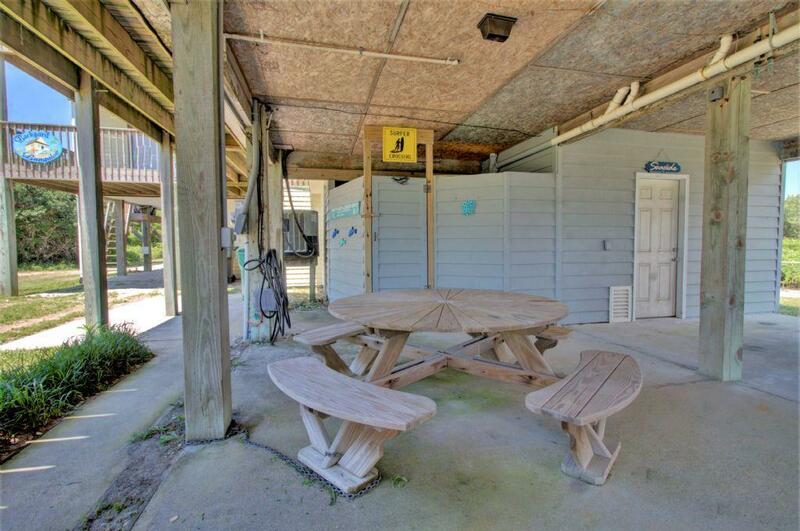 Parking is located underneath the home along with a private enclosed outdoor shower and grill (you are required to bring your own fuel). 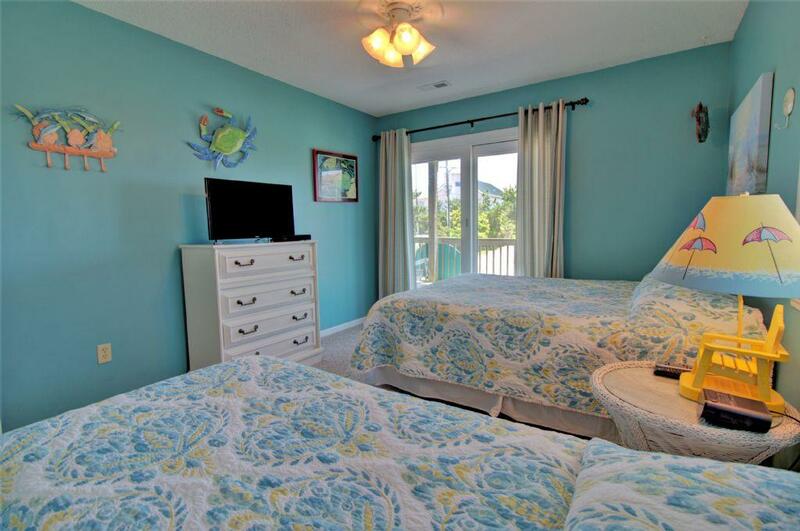 Welcoming you into the home are light, airy beach colors and decorations to complete your stay at the beach. 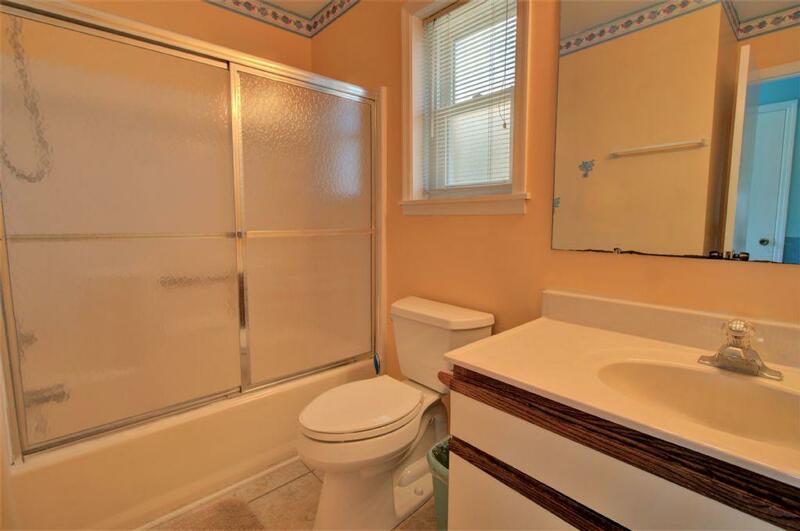 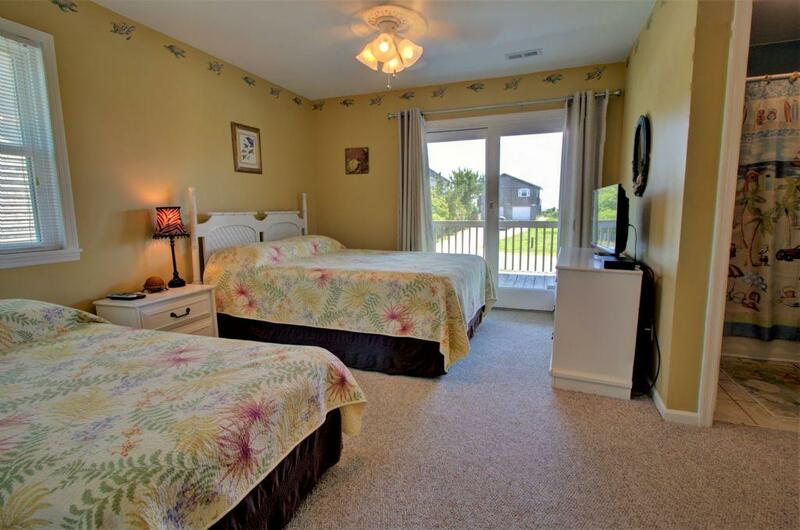 Three bedrooms are located on the lower level. 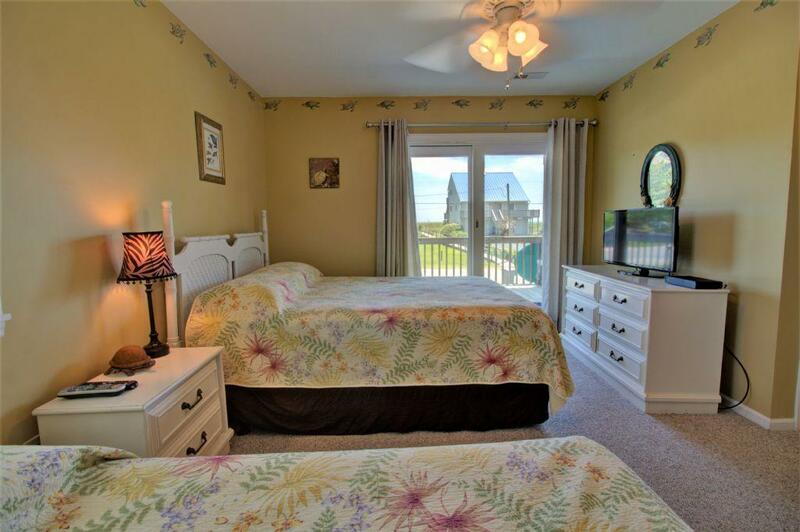 Bedroom one is located just to your right as you enter the home. 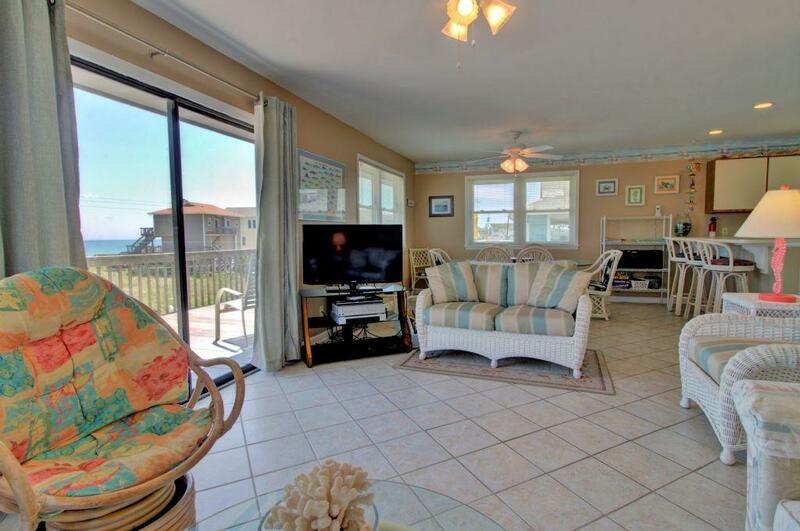 In here you will find a queen and twin bed, along with access to the ocean side porch through a sliding glass door. 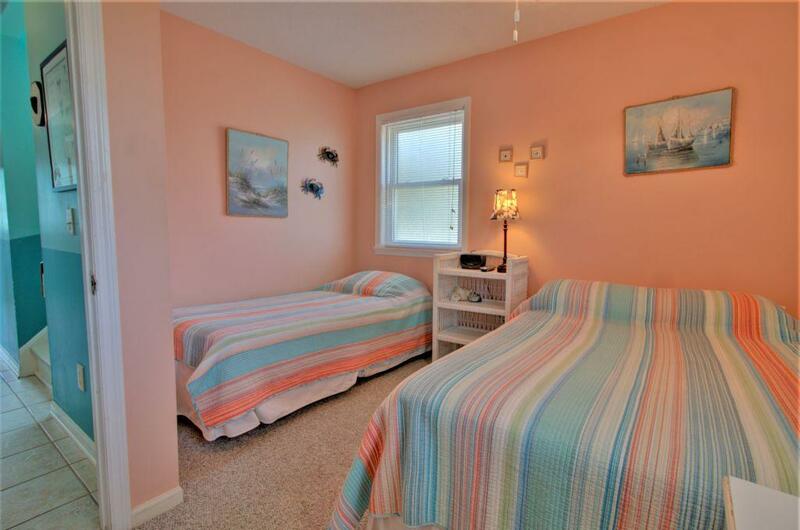 There is a bathroom on the opposite side of the hallway that is shared with bedroom three. 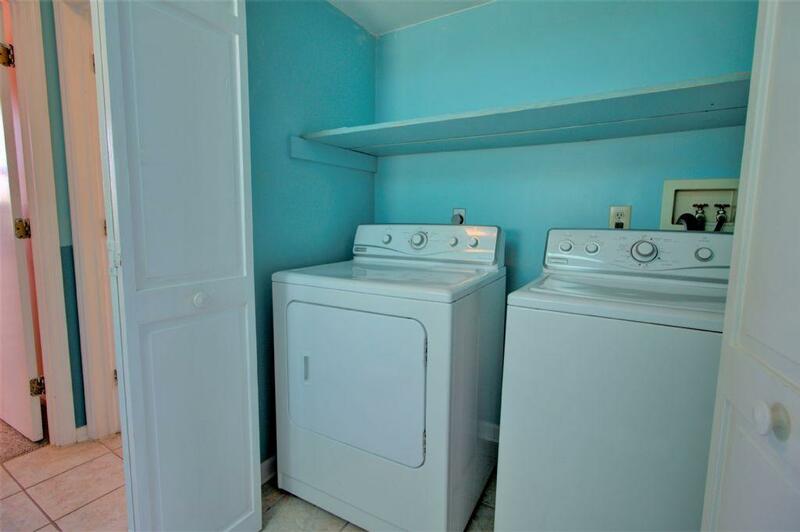 Moving down the hallway brings you past the laundry area and to bedroom two on your right. 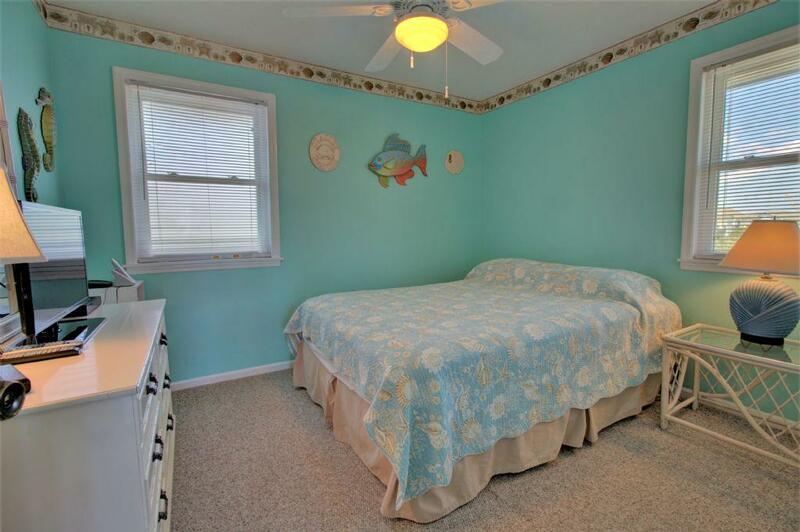 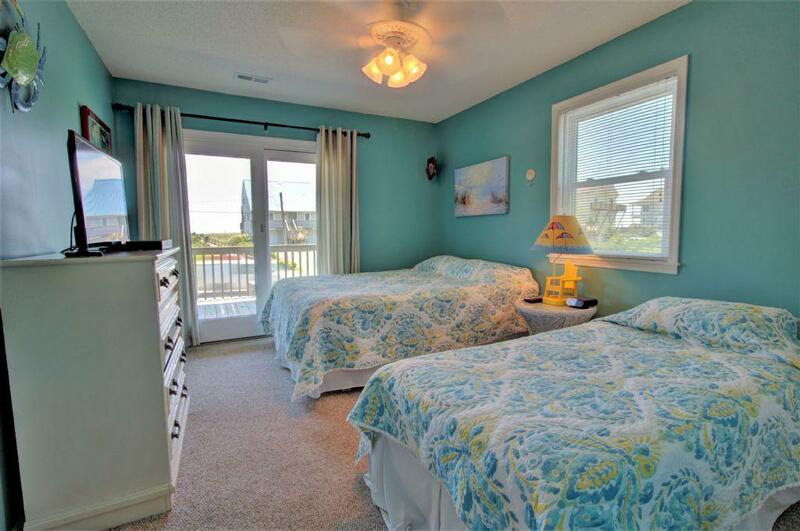 This bedroom also has a queen and twin bed with access to the oceanside deck. 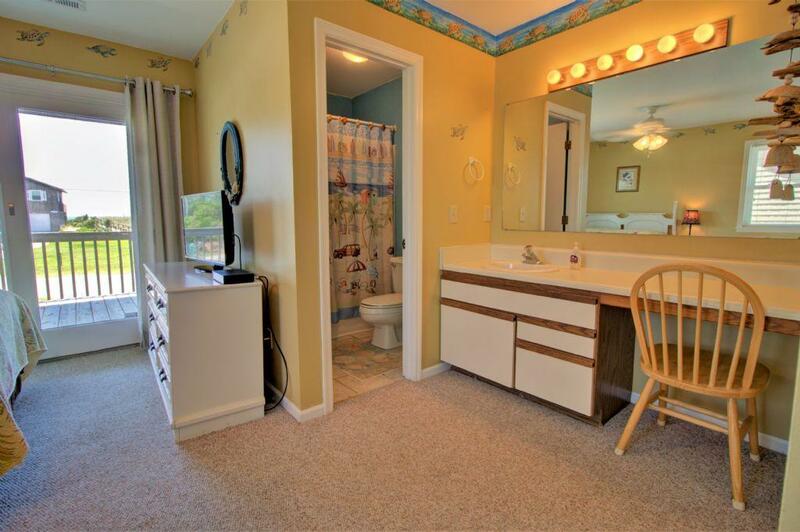 Bedroom two is a master suite with its own private bath and vanity area. 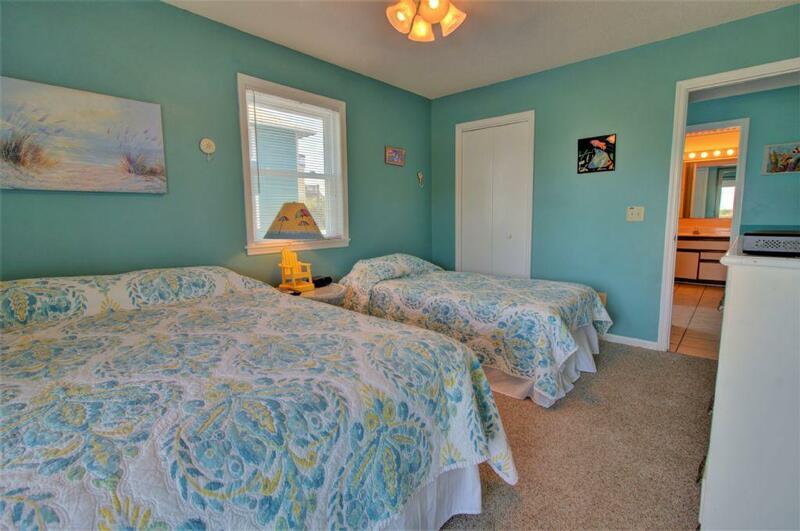 Bedroom three is located at the end of the hallway and has a double and twin bed. 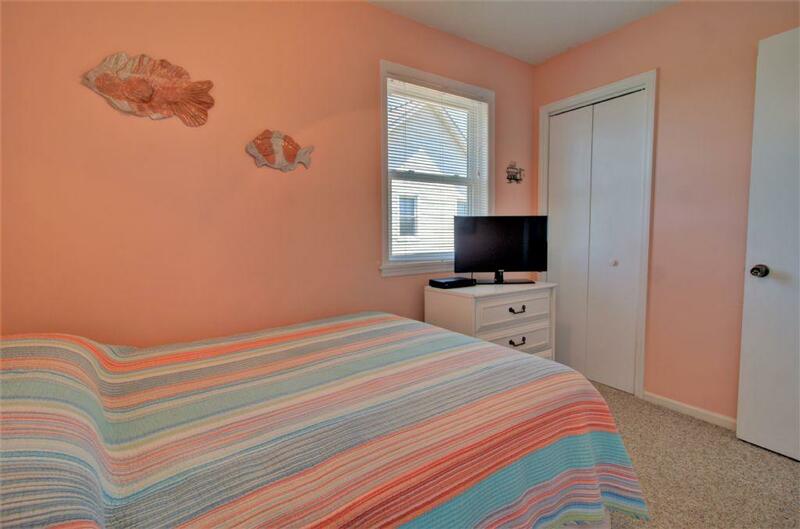 All of the lower level bedrooms have televisions. 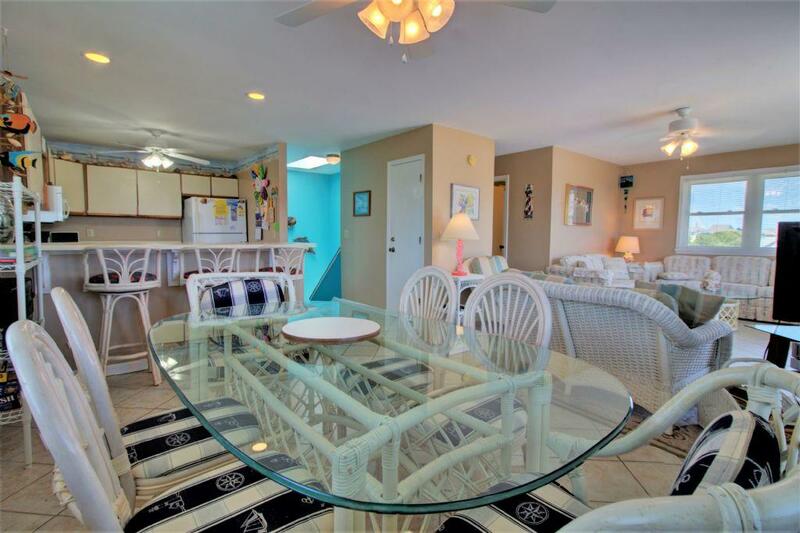 Upstairs opens into an open floor plan kitchen, dining and living room area. 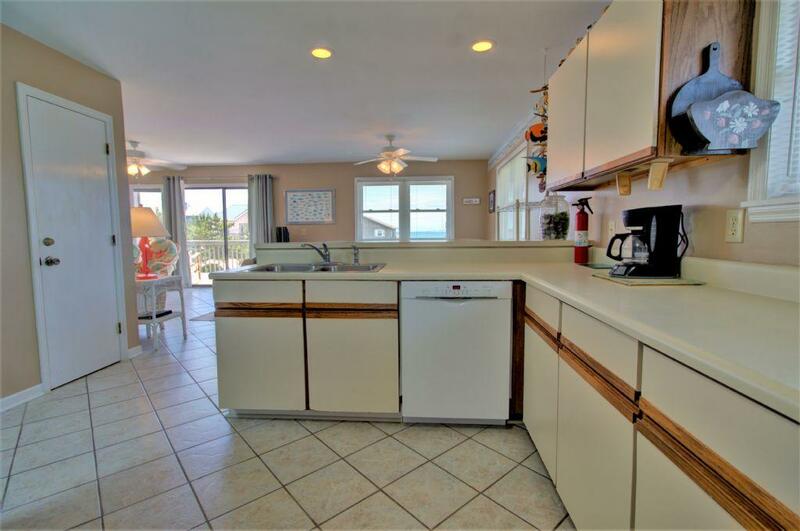 The fully equipped kitchen has an eat-in bar space and continues into the dining area where you can view the ocean right from the table! 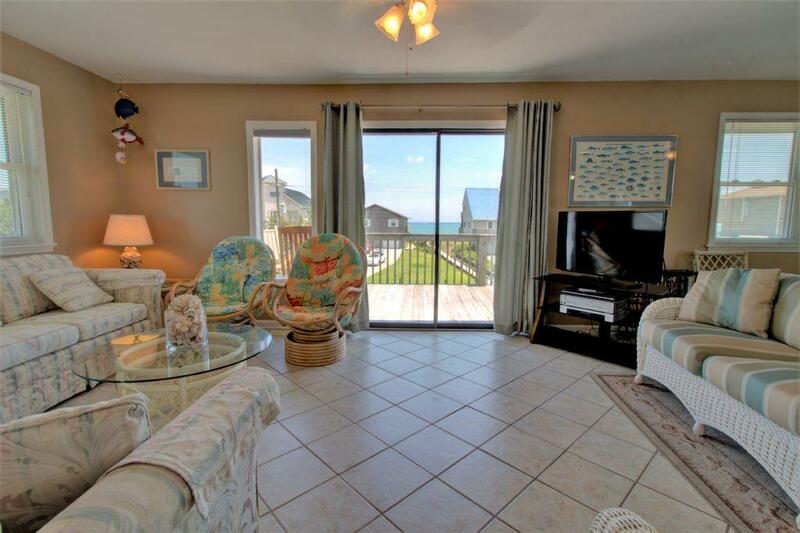 Sliding glass doors provide access to the top deck with gorgeous views of the ocean as well. 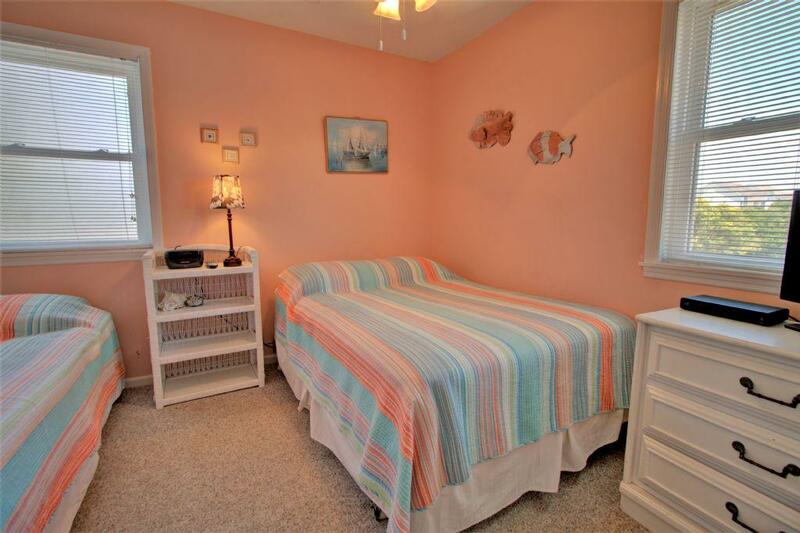 The fourth and final bedroom is located to the rear of the living room with a shared bath, queen bed and television. 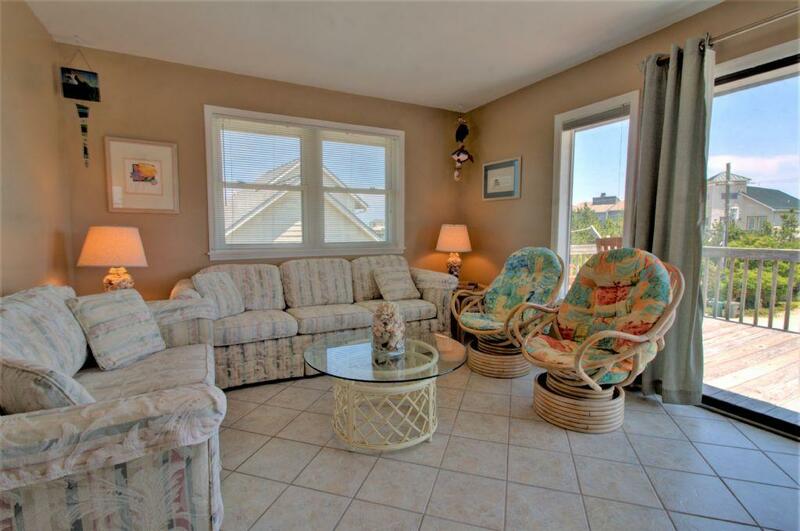 On the top deck you will find ample seating to enjoy the sun and ocean views. 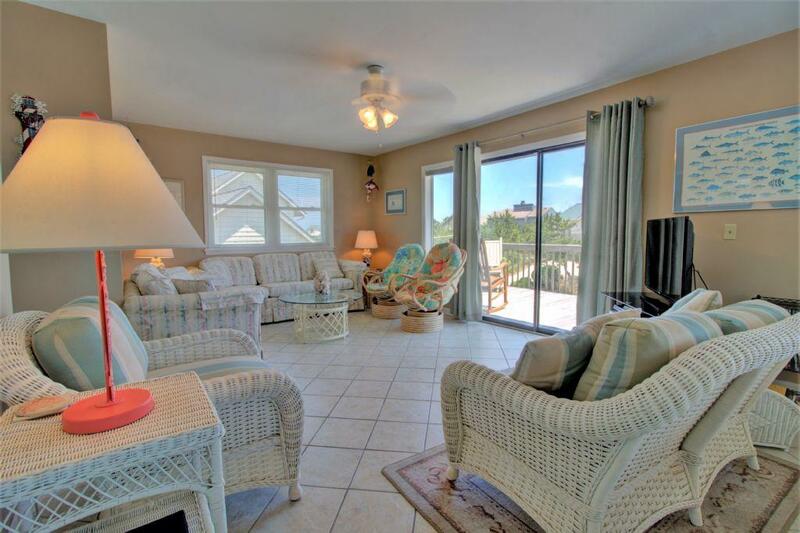 On the bottom deck you can relax in the shade on the swing. 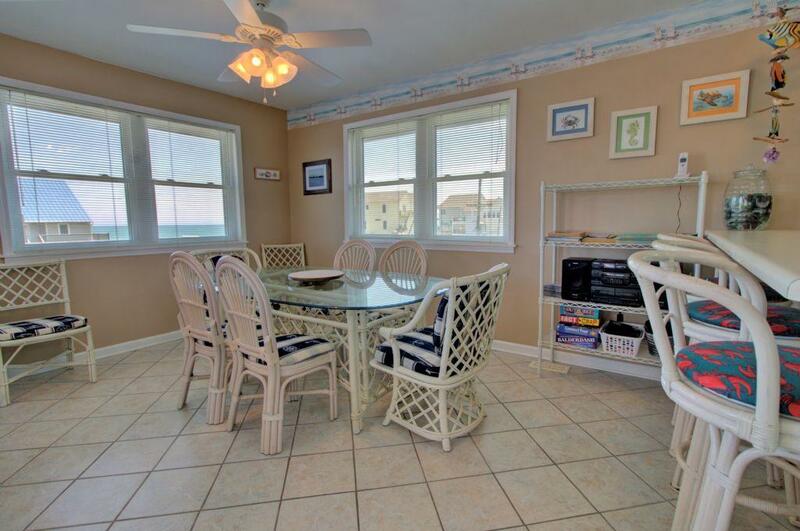 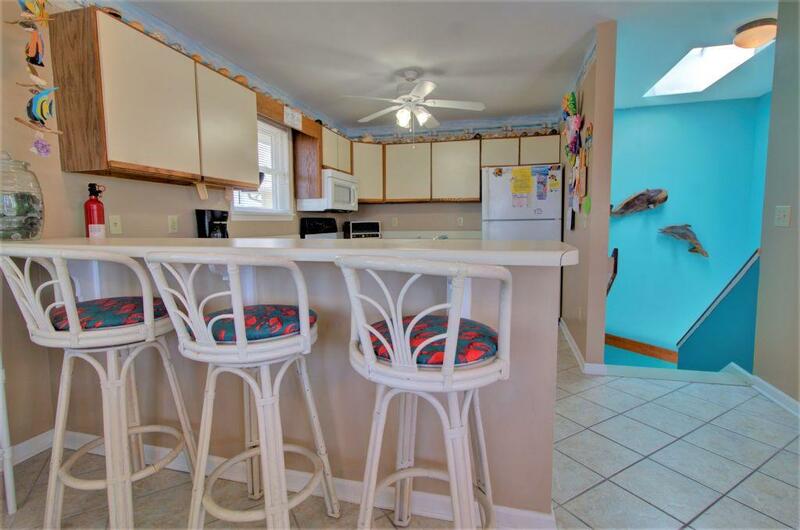 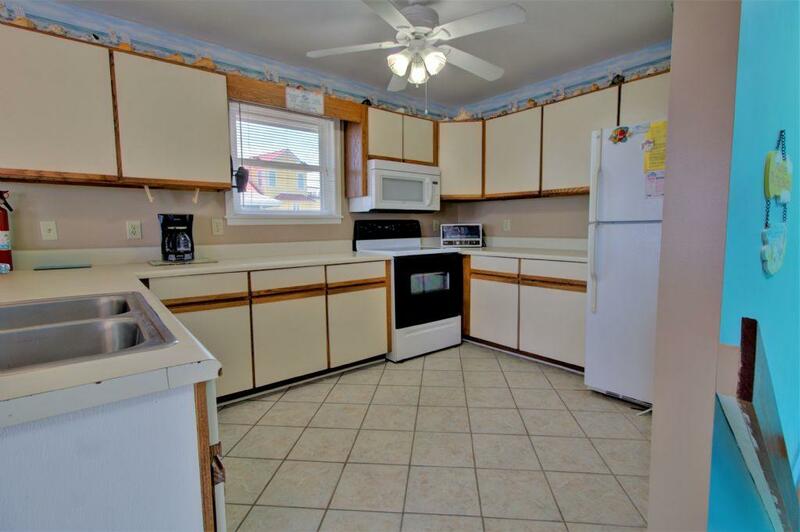 You are just a short walk to the beach as this house is located directly across the street from beach access. 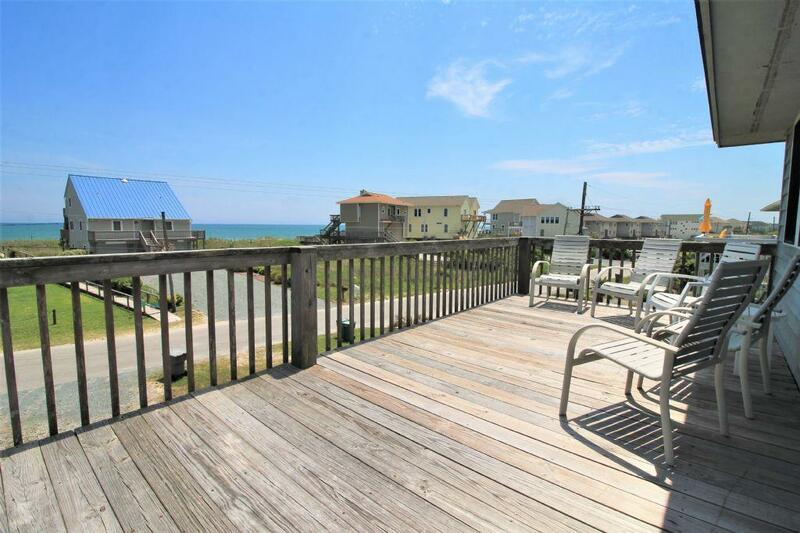 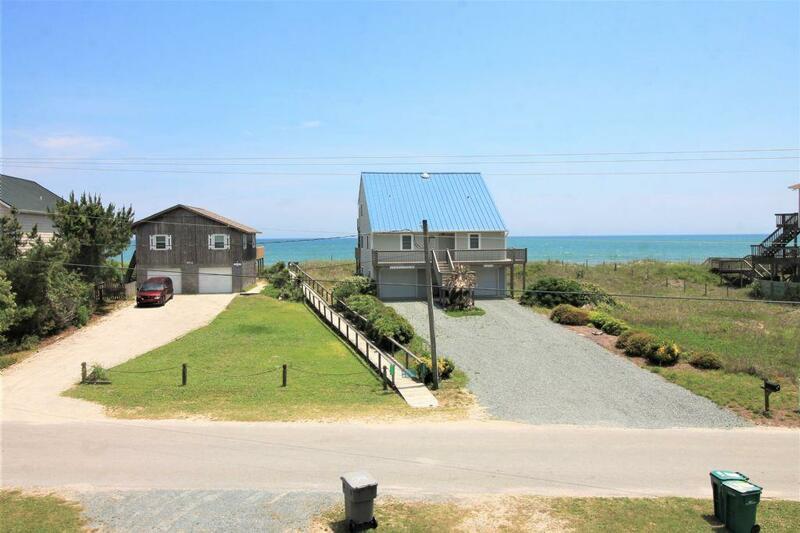 With an empty lot across the street you have a fabulous ocean view from "Seaside Serenity." 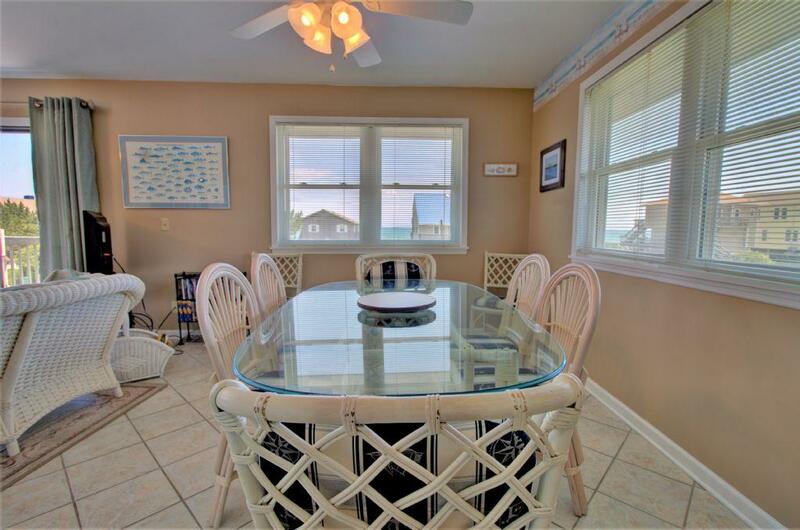 At this property, you truly are just steps away from serenity at the seaside. 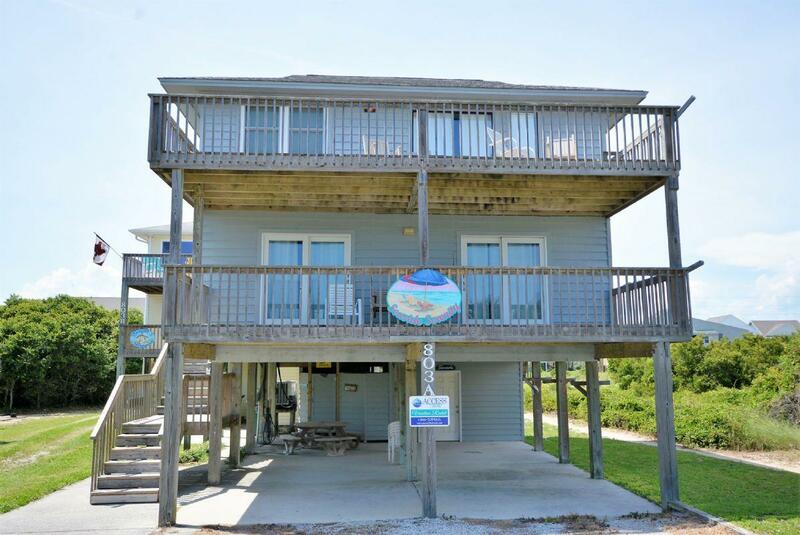 "My large family decided on this house for a week of fun, laughter, fishing & memories!! 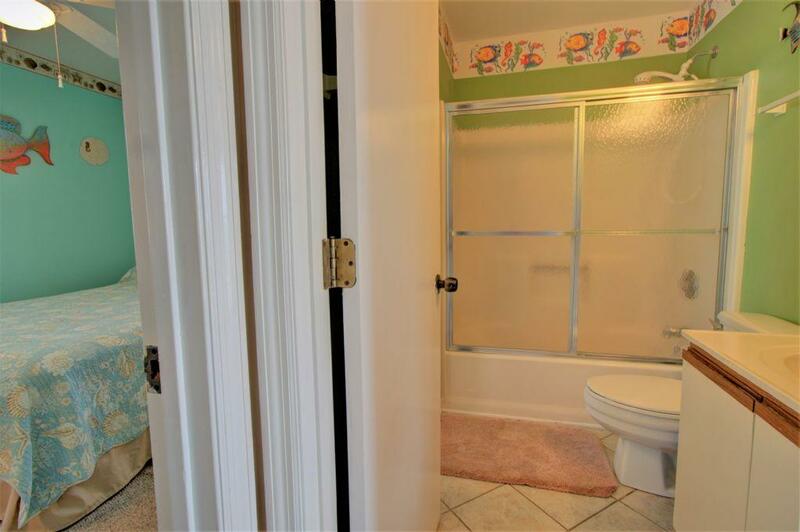 There was plenty of room for everyone! 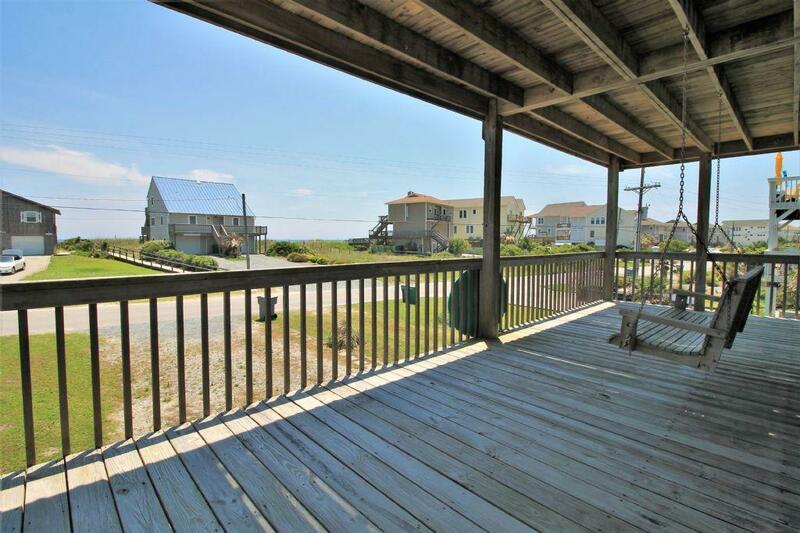 If our family wasn't going to be bigger next year, we'd definitely stay here again!!! 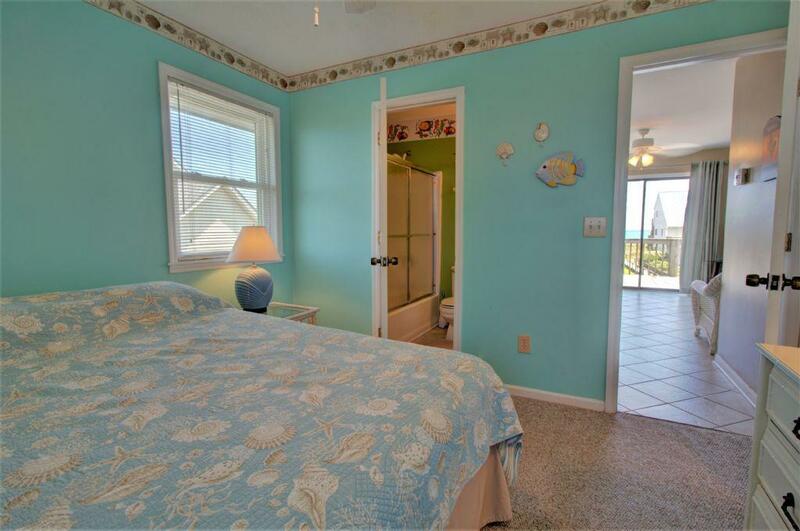 Thank you!!" 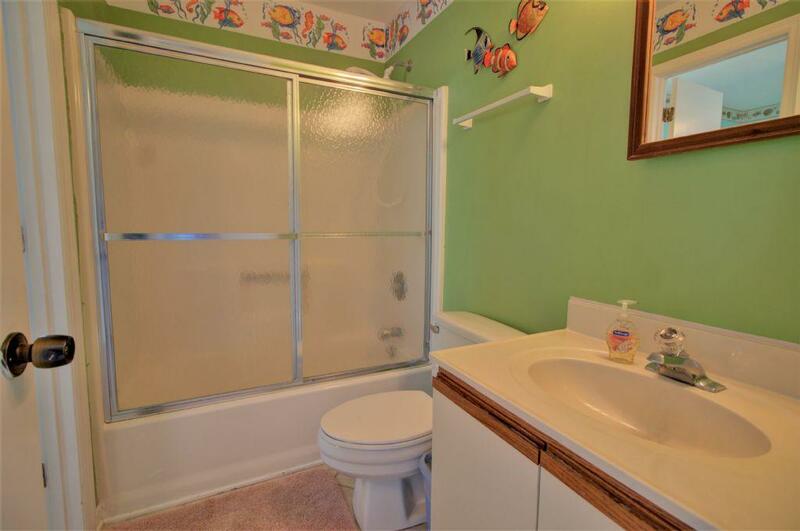 Is there an outside shower with hot and cold water ? 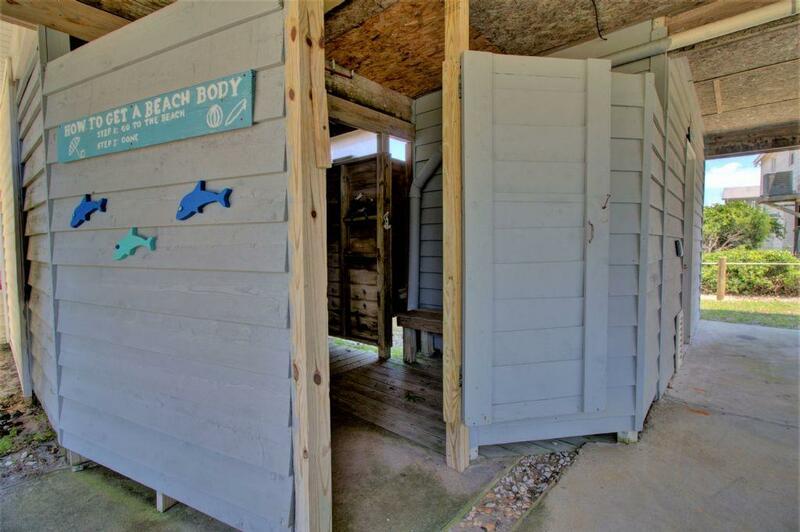 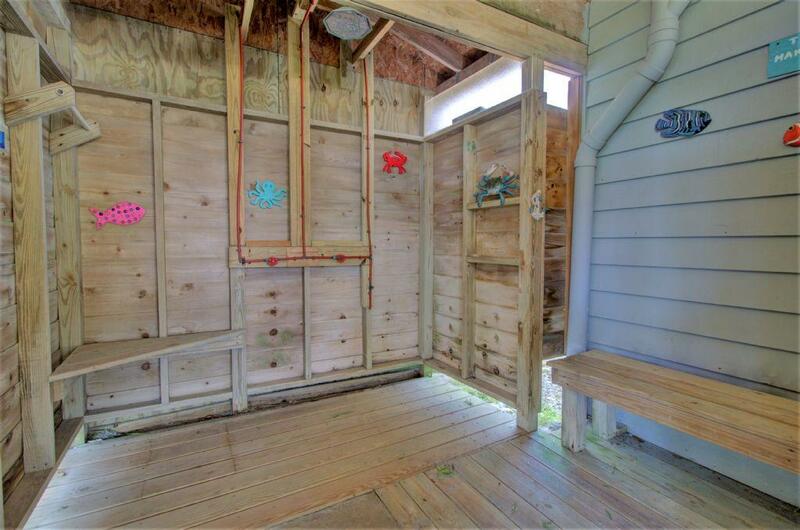 Yes, there is a Hot/Cold outdoor shower at Seaside Serenity!